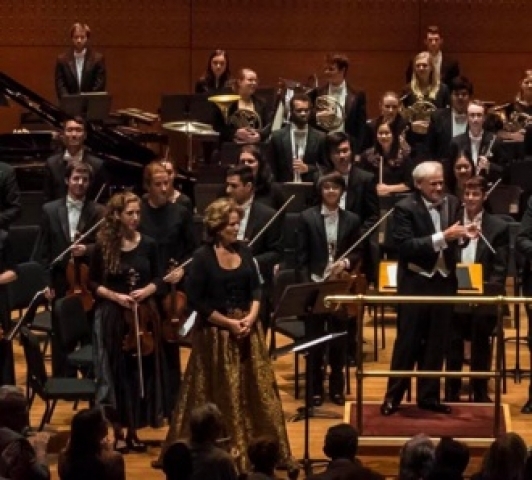 The Eastman Philharmonia under the brilliant Neil Varon, performed Maurice Ravel, Kevin Puts and Serge Prokofiev at Alice Tully Hall. It is difficult to categorize Kevin Puts as a composer, yet he is easy to appreciate. Listening to his compositions, including the Pulitzer Prize winning Silent Night opera, is both thrilling and ineffably moving. The effect of his harmonies, which become moving melodic lines although there is seldom a hum-able moment, is to dive into the midst of a thunder clap and double rainbow. Bracketing his new song grouping are Ravel’s Rhapsodie Espagnole, and Prokofiev's Fifth Symphony. In the Ravel, the crushing textures often tinkle and chime and the harp is prominent. In Prokofiev's Fifth Symphony, cacophony and clashing sounds come at us from all sides. Prokofiev writes that he composed to glorify the human spirit. He does this as he reveals human complexity. Complex feelings dominate Puts’ songs. Yet Puts does not pull us down into darkness. 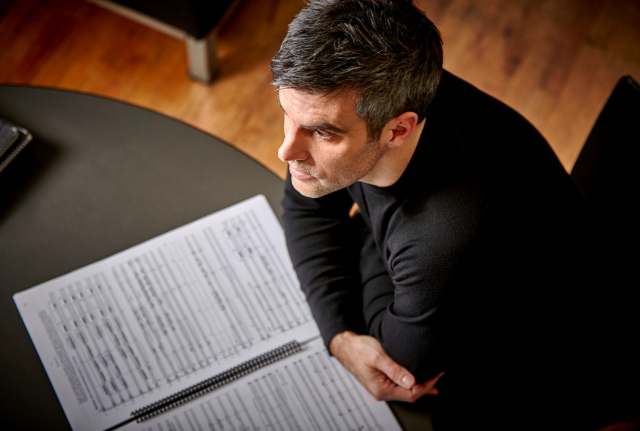 Puts uses both the silken textures of Ravel and the violence of Prokofiev to achieve his ends. Although Puts can not be called a composer of program music in which musical narrative drives the composition, we might call his compositional style 'emotional' narrative. Puts draws you and holds you tight, almost squeezing you. In intimacy he finds grandeur. His Letters to Georgia are formed from the letters of Georgia O’Keeffe to friends and her husband, Alfred Stieglitz. They are at once charming, witty. In landscape descriptions, O'Keeffe describes expanding up to the sunshine and out into the night. About her husband, she writes of the tangled eroticism of love. Puts captures these moods in profound musical gestures. 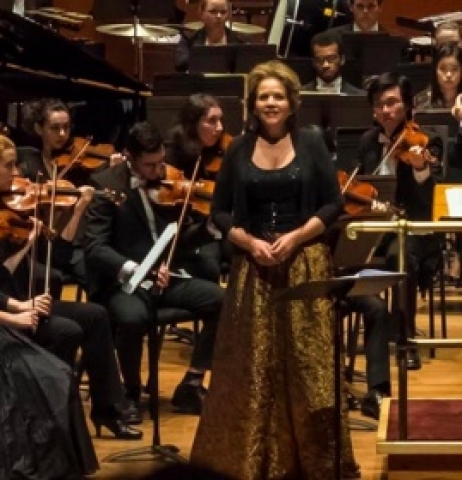 Renée Fleming is a masterful singer of songs. 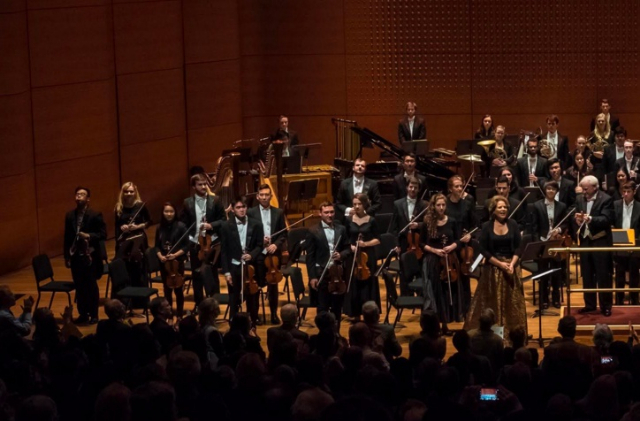 Her performance of Messiaen’s Nine Songs at Alan Gilbert’s inaugural concert at the New York Philharmonic was in some ways like this one. Messiaen has the same daring leaps over three octaves and deeply emotional harmonies. As Fleming reaches up and down in dramatic stretches, she is without stress or pressure, yet full of rich drama. One marvels that Fleming can accomplish her goals without revealing a breath. The Puts’ songs place inordinate demands on the soprano. Rhythmic pulses and painterly colors abound. Puts goes inside the words to find his matching notes and phrases. He, with Fleming as his interpreter, take us inside O’Keeffe’s heart and soul. This is where Puts stands out. While moving, big stories are chosen by other composers for their songs and operas, Puts limits his landscape and goes to the depths of the volcano, before the roaring hot lava of his notes erupt. The young instrumentalists of the orchestra, full of talent and passion, show us that classical music can survive in America. Composers like Kevin Puts invite everyone to the musical party.